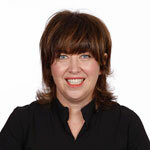 Dr Fiona Kelly joined Smile Solutions in 2013. Having graduated in 1991 from the University of Western Australia, Dr Kelly went into general dental practice in the WA country town of Geraldton, where she ran her own practice for 15 years. She then spent six years practising in the state capital, Perth. During this time Dr Kelly worked with final-year dental students within the University of Western Australia mentorship program. She also worked on mentorship programs run by The City of Geraldton and was on the board of Regional TAFE WA. After selling her practices, Dr Kelly was looking for her next challenge. That was when she moved to Melbourne and joined the Smile Solutions team. Dr Kelly particularly enjoys Smile Solutions’ ability to offer patients complete dental care, thanks to a wide range of services and access to an exceptional and committed team of dentists, specialists and support staff all working under the one roof. With extensive experience in crowns, bridges, veneers, implants, CEREC crowns and dentures, as well as composite resin and simple restorations, Dr Kelly’s work at Smile Solutions has focused on cosmetic and restorative services. Dr Kelly is known for her personal and friendly approach and is particularly adept in assuaging the fears of nervous patients. In collaboration with a specialist anaesthetist, she regularly treats patients using sleep dentistry. In 2001, Dr Kelly was the Western Australian winner of the Telstra businesswomen's awards, the Geraldton Midwest businesswomen's award, and the WA businesswomen's business owner award sponsored by Westpac. In 2002, John Howard conferred upon her the Prime Minister's Award for her contribution to the business community, and in 2003 she won the 40 under 40 Award sponsored by Business Newsweek.